Sorry, we have no plans to make a full cover water block for this position. Thank you. Sorry, we have no plans to make a backplate for this position. Thank you. 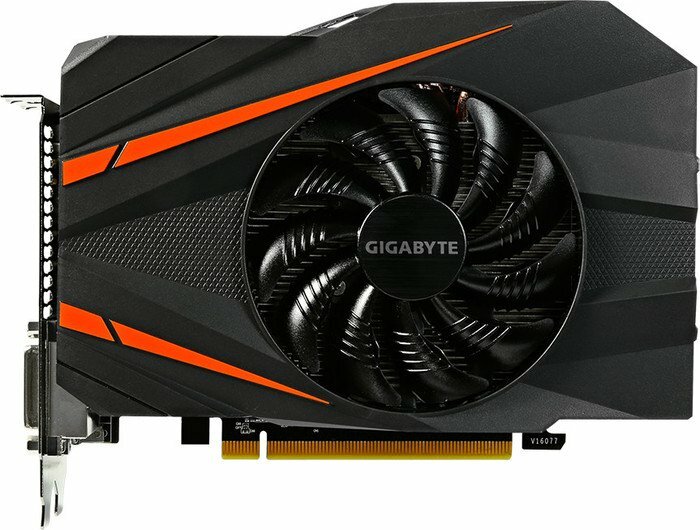 VGA Universal block covers only GPU. You have to arrange passive cooling of RAMs and Mosfet chips. Below are example pictures and details that explain how CoolingConfigurator system is offering you the supported motherboard water blocks. 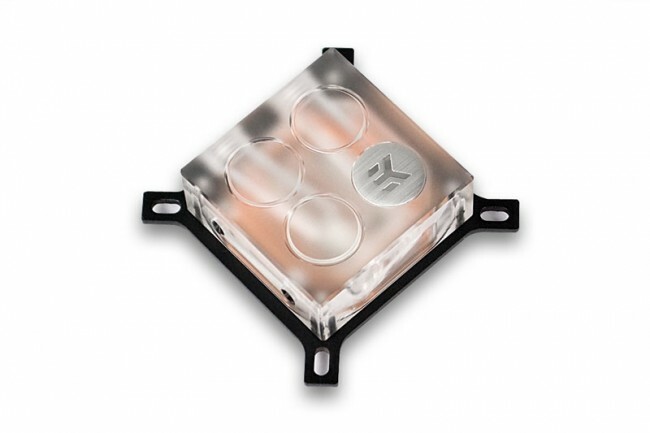 If your motherboard has only one place for a Mosfet water block, this is the reason why the CoolingConfigurator system did not offer you any product for Mosfet 2 position. This example shows two places for Mosfet water blocks: Mosfet 1 and Mosfet 2. 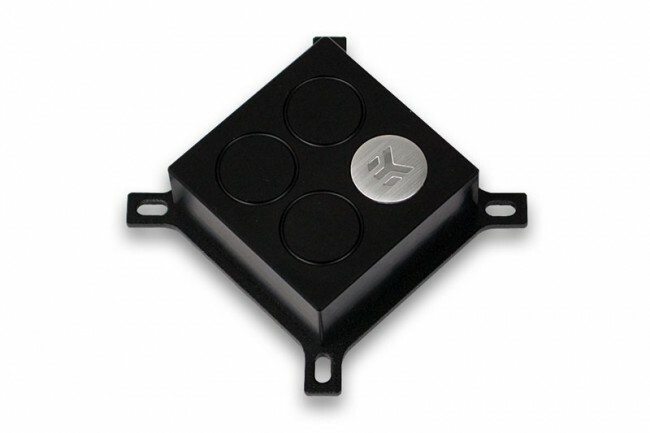 If the Mosfet blocks are sold in pairs, Mosfet 1 position is offered only by CoolingConfigurator system. The following picture shows an installed FullBoard water block on a motherboard. If you have chosen a motherboard that EK has a FullBoard solution for it, then CoolingConfigurator system will probably not offer you separate motherboard blocks, such as NB, SB and Mosfet water blocks. This example shows the motherboard and MB NB (Northbridge) water block position. If the CoolingConfigurator system offers you a MB NB water block with the comment: "Block is placed on existing heatpipe above NB" means you should not remove existing cooling solution on motherboard. You should just remove (unscrew) the removable heatsink right above the Northbridge and replace it with suggested water block. 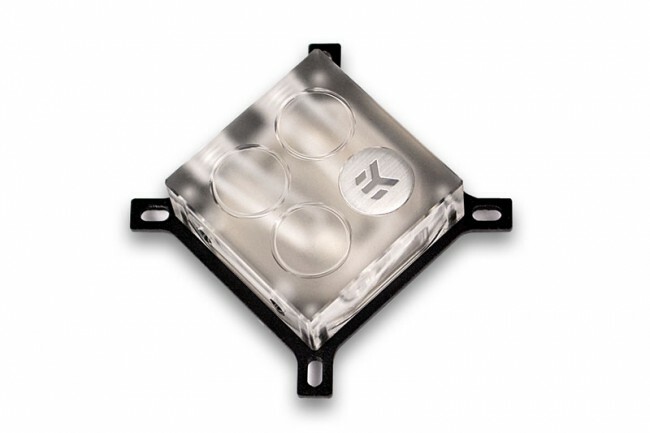 Below are example pictures and details that explain how the CoolingConfigurator system is offering you the supported VGA water blocks. The following example picture shows an installed VGA FullCover water block on a graphics card. If you have chosen the FullCover water cooling solution for your graphics card, you do not need any additional water blocks or heat sinks for the supported graphics card. The example picture shows an installed VGA Universal GPU (Graphic Processor Unit) water block for graphics cards. 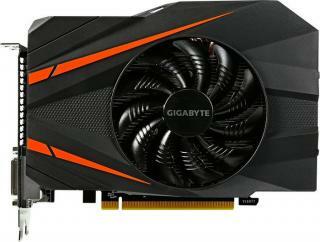 If there is a FullCover solution available for the selected graphics card, EK recommends that you use it. 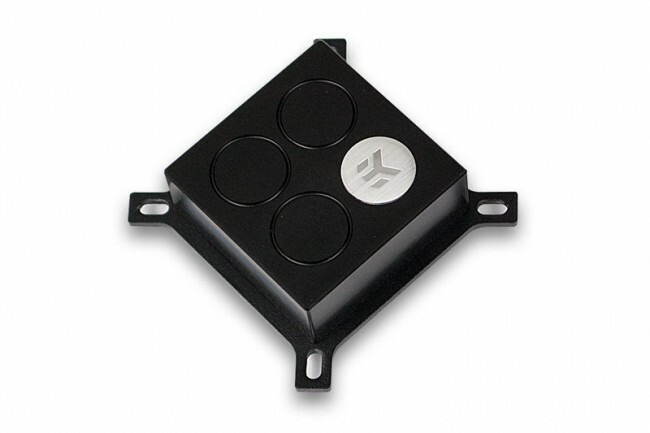 If you have decided to go with the VGA Universal block, EK recommends you use passive heat sinks on all chips that block is not covering: RAMs, Mosfets, and others. Only this way will assure sufficient cooling.